We give you the top ten of the NBA’s playing time leaders – the men who have played more minutes in their NBA career than anyone else – Karl Malone, Stockton, Parish, Havlicek, Reggie Miller, Gary Payton, Moses Malone, Wilt, Elvin Hayes and Jabbar. 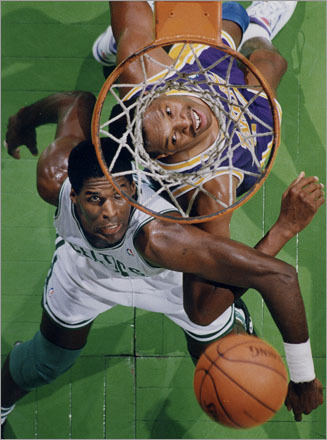 Hall of fame and the NBA’s 50th anniversary all time team, number 19 on the all time scoring list and number 7 on the all time rebounders list averaged 28.4 minutes per game throughout his career, the lowest average in the top 30 except for Kevin Willis (26.9). 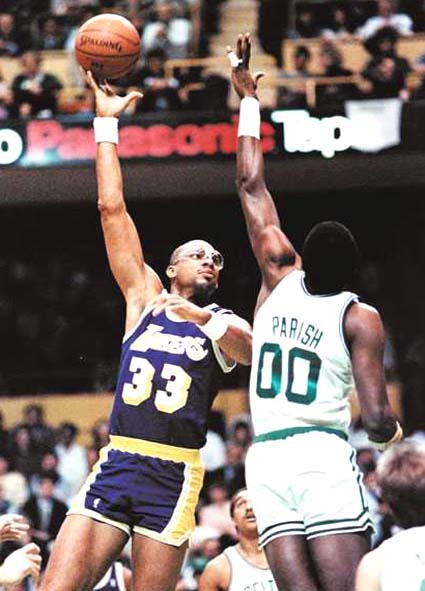 Parish played in the NBA for 20 seasons on four teams, mostly with the Boston Celtics (14 seasons), playing in 1611 games, the most ever. He played his most in 1986-1987, averaging 37.4 minutes per game that year. Hondo, or John Havlicek, besides being a hall of famer and a member of the al time 50 greatest players list is also part of maybe the most famous play-by-play call in the history of the NBA, back from 1965 “Havilcek stole it! 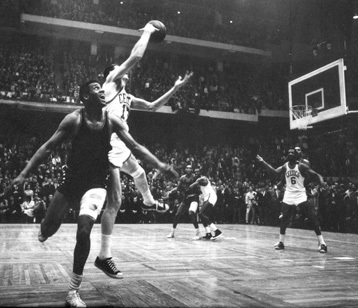 Havilcek stole the ball” by Johnny Most, after Havilcek picked off Hal Greer from the Philadelphia 76ers in the Eastern Finals game between the Boston Celtics and the 76ers. Havlicek averaged 36.6 minutes per game over 1270 games in 16 seasons, all with the Celtics. He led the league in minutes twice, 1970-1971 and 1971-1972, averaging more than 45 minutes per game in both seasons, and averaged over 40 per game in three more seasons. A starter from the first moment he began playing in the league (1254 of 1267 games, 98.9%), the one time NBA Champion, 10 time All-Star and five time All-NBA first teamer actually led the league once in total minutes played, back in 1998-1999. It was the only season in his career with over 40 minutes a night (41.2). He’s never averaged less than 33 minutes a night, which probably will change as Kidd will turn 39 during the next NBA season. Number 7 on the all time minutes list is also number 7 on the all time assists list which we have already covered not too long ago. Gary Payton, one of the NBA’s greatest point guards ever averaged 35.3 minutes per game during his career, spanning 1335 games in 17 seasons. He never led the league in minutes played, but averaged over 40 minutes per game for five consecutive seasons, between 1998-2003. The league’s all time leader in 3 pointers made (2560) is number six in playing time all time. 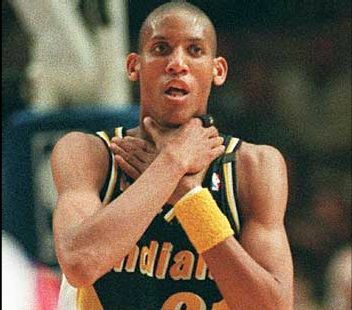 Reggie Miller spent his entire career with the Indiana Pacers, averaging 34.3 minutes per game, playing 1389 games in 18 seasons. He never averaged over 40, but went below 30 minutes per game only twice in his career, with his best coming in 2001, averaging just over 39 minutes per game. The NBA’s all time leader in assists and steals had a lot of minutes in order to accomplish those top spots and distance himself from the rest by a lot. 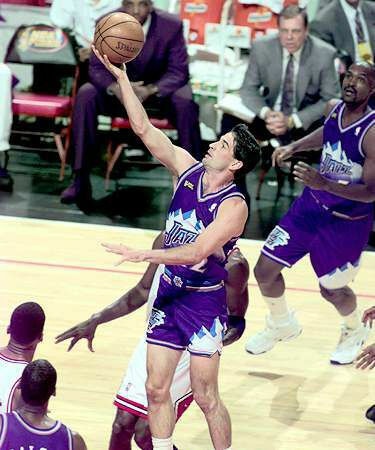 John Stockton is number five in playing time all time in the NBA, averaging 31.8 minutes per game through his 1504 games in 19 NBA seasons. He never averaged over 40, with his best coming in 1989, averaging 38.7 minutes per game. He played his entire career with the Utah Jazz. 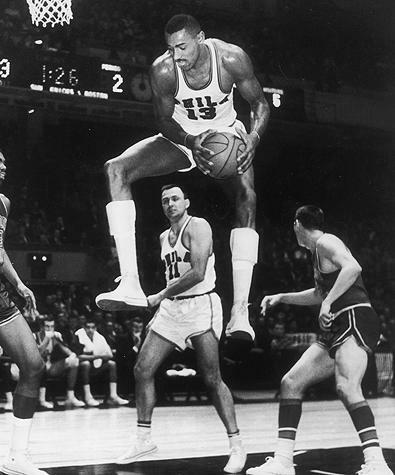 Wilt “the stilt” Chamberlain is the NBA’s all time leading rebounder and the all time leader in minutes per game, with 45.8 minutes per game. Chamberlain played 1045 games, the lowest number among the top 18, in a career spanning 14 seasons. Wilt led the league in minutes eight times, and he never played less than 40 minutes per game in his entire career. In his amazing 1961-1962 season (50.4 points per game), he average 48.5 minutes per game due to his over time play, resting only 8 minutes the entire season (an average of six seconds of rest per game). Also from the 50 all time greats list from 1996, Elvin Hayes is seventh on the all time scoring list and fourth on the all time rebounders list. He averaged 38.4 minutes per game in his career, playing 1303 games in 16 seasons. 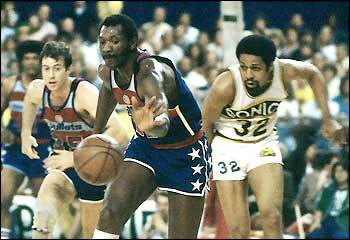 Hayes led the NBA in minutes played four times and minutes per game twice. He played over 40 minutes per game in nine seasons, with his best coming in his rookie season – 45.1 minutes per game. Another (almost) life long Utah Jazz player, and the number two on the NBA’s all time scoring list and number six on the all time rebounding list. Karl Malone averaged 37.2 minutes per game in his career, playing 1476 games in 19 seasons, 18 with them as a Jazz player. Malone never led the league in minutes, but played over 40 minutes per game twice and never played less than 30 minutes per game. The Number one scorer of all time, the man who made and shot more field goals than anyone else and number three on the all time rebounding list. He’s won the MVP award six times, more than anyone else, and has also played more minutes in his career than any other NBA player. He’s number two in games played after Robert Parish. Kareem averaged 36.8 minutes per game in 1560 games and 20 NBA seasons. He led the league in total minutes once, in 1976 but never in minutes per game. 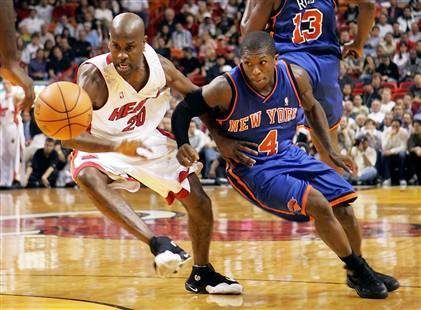 He played more than 40 minutes per game in his first seven seasons in the NBA. 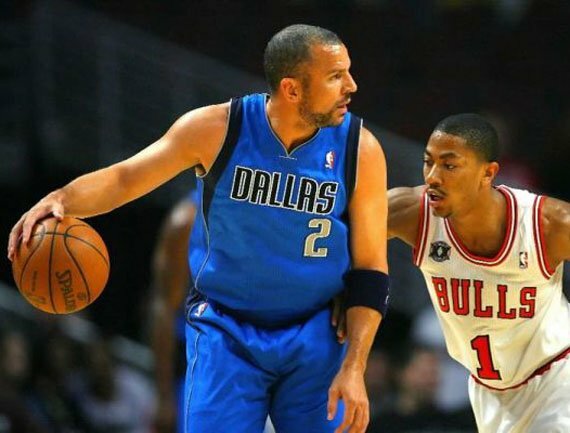 Jason Kidd, 15th all time, 41,155 minutes, 37.2 minutes per game. Shaquille O’neal, 21st all time, 39,926 minutes, 35.7 minutes per game. Kevin Garnett, 24th all time, 39,635 minutes, 37.6 minutes per game.